attracts more cruises than anywhere else in the world. According to the Cruise Lines International Association (CLIA), the Caribbean together with the Bahamas has a 44% share of the cruise market. Caribbean Cruises are offered year-round from Miami, Ft. Lauderdale, Cape Canaveral, Tampa, New Orleans, Galveston and San Juan, Puerto Rico. With so many islands, Eastern Caribbean Cruise - St. John's, Antigua Caribbean cruises often include stops at one or two islands on 3-day cruises and as many as five islands on 7-day cruises. Major cruise lines offering regularly scheduled cruises to the Caribbean are Carnival Cruise Lines, Royal Caribbean Cruise Lines, Celebrity Cruises, Holland America and Norwegian Cruise Line. Cruise lines typically offer Eastern Caribbean Cruises, Southern Caribbean Cruises, Western Caribbean Cruises or Special Caribbean cruise itineraries. 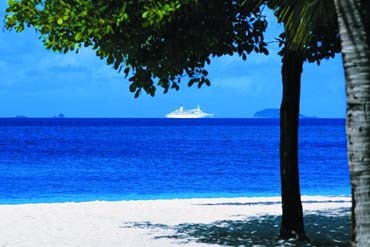 The island destinations visited on Eastern and Western Caribbean cruises are located reasonably close to south Florida. Southern Caribbean cruises visit islands adjacent to Puerto Rico and just off the coast of South America. Therefore many cruises lines depart from San Juan, Puerto Rico on Southern Caribbean Cruises. Special Caribbean Cruises are often longer than 7 days (usually 10 or 11 days) and circle the entire Caribbean allowing passengers to experience islands in each area. 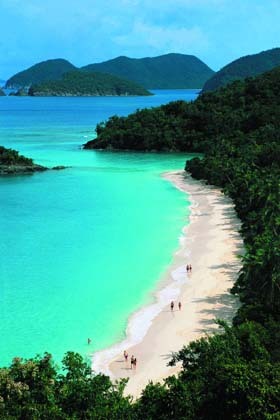 Eastern Caribbean Cruises usually include calls on islands located between Florida and Puerto Rico. Eastern Caribbean Cruise ports may include St. Thomas, St. John's, and St.
Maarten (US Virgin Islands), San Juan (Puerto Rico), and Tortola and Virgin Gorda (British Virgin Islands). Nassau (New Providence Island) is technically in the Bahamas, but many cruise lines stop in Nassau on their Eastern Caribbean Cruises. Western Caribbean Cruises include visits to islands just south of Cuba, especially Jamaica and the Cayman Islands as well as ports near Cancun on the Yucatan Peninsula in Mexico. 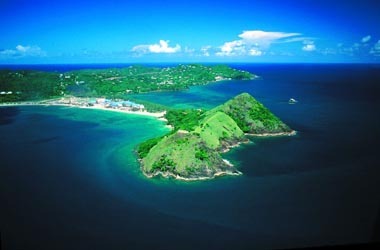 Some Central American countries are also included in Western Caribbean Eastern and Southern Caribbean Cruises - St. Croix, U.S. Virgin Islands Cruises. Ports of call on Western Caribbean Cruises include Key West (Florida), Georgetown (Grand Cayman Island), Ocho Rios (Jamaica) and Cozumel, Playa del Carmen, Costa Maya and Progreso (Mexico), and Belize City (Belize). Southern Caribbean Cruises include calls in the islands east and south of Puerto Rico as well as islands just off the coast of South America. Southern Caribbean ports of call often include Aruba, Barbados, Curacao, Dominica, Grenada, Guadeloupe, Martinique, St. Lucia, St. Kitts, St. Croix, St. Thomas, St. John and Trinidad. Many Southern Caribbean Cruises depart from San Juan, Puerto Rico because these destinations are located so far south of Florida. Special Caribbean Cruises are also offered by the major cruise lines. These Southern Caribbean Cruises - St. Lucia cruises either depart from south Florida on a long cruise to the southern Caribbean islands or they circle the Caribbean visiting up to 6 islands. Since the southern islands of the Caribbean are 1,000 miles south of Florida, Southern Caribbean Cruises from Florida simply require more time.